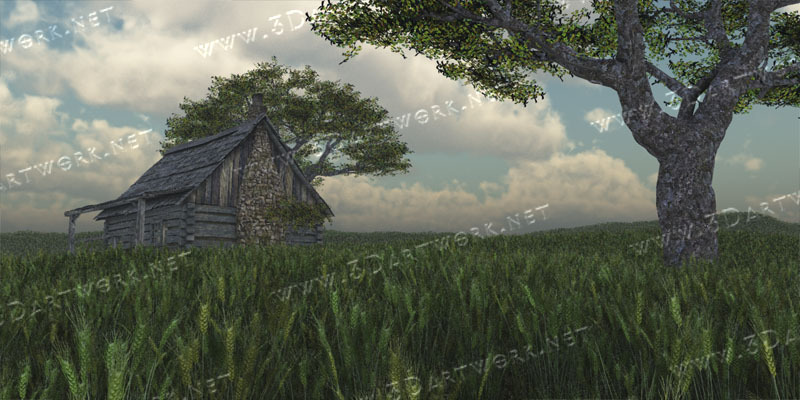 A simple (yet technically complex) scene that I have never done, but always thought I should do was rolling wheat / grass fields. Well, I am finally getting to it, just basic for the first one but still nice, I believe. Due to the amount of ram needed to render this, at acceptable quality that is, I am having to put this project on hold until my new computer is up and running. I do not plan on that taking to long & will post an update as soon as I have one.